n o v e m b e r 17 | 16. - 22. Attention, all food junkies! 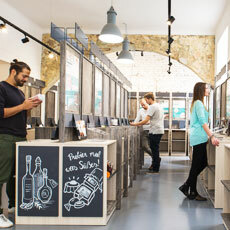 Starting on Friday, a really unusual consumption- and tasting concept in the Schotten quarter makes your mouth water. A tasting-grocery-store called Tastery (nomen est omen) opens there – and offers a wide variety of (inter)national food- and beverage novelties, which can be tasted for free by passionate foodies, starting immediately! Yes, you heard that correctly, the tasting is free! The shelves are filled with more than a hundred products, including Viennese snail specialities by Gugumuck, Greek saffron tea by Krocus Kozanis, chocolate dried fruits by Landgarten, honey vodka by El Hac, or garden herbal vinegar from Reikersdorf. The only service in return: a digital thumbs-up or down on the spot, which means that you ultimately have a say in a brands success or failure. If you want, you can also shop here, of course. We’ve never had anything like this in Vienna! It might just happen occasionally that a writer picks up a brush. 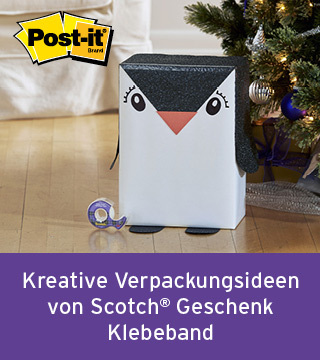 Just think of Carlfriedrich Claus’s pictures or, more recently, “Illus” by Teresa Präauer. But the new exhibition at Leopold Museum has another subject: the avant-garde silhouettes, travel pictures and klecksographies by figurehead writer and painter Victor-Marie Hugo. He wrote seminal novels like The Hunchback of Notre Dame and Les Misérables – and yes, he also communicated visually. Starting today, 60 of his bizarre-romantic fantasia-works can be marvelled at in Vienna. There’s an obvious silver lining to winter: fashionistas can wrap themselves up in new collections and choose new temperature-adjusted footwear ;-) Today, the presentation of the new collection of the Japanese-Austrian design-duo Simone Springer and Yuji Mizobuchi is here to help. Winter has started, fashion-wise, in their Mariahilfer studio, home to their label rosa mosa, which includes the newest boot models, unusual classic clogs with tassels, ponchos handmade in Nepal from yak cashmere (ragged beasts, but really cuddly! ), gloves and scarves. Plus: food & drinks! One of the most successful musicals of all time is in town – but only today! The rock-opera played for more than 12 years on Broadway, the film adaptation was produced by film-god Robert De Niro. The captivating stage spectacle is about the relentless fight for survival of a group of young artists in the New Yorker East Village and, as is appropriate for a musical, it covers the whole range, from love to suffering to funny scenes. But also current topics like drugs, racism, or Aids. The plot is loosely based on Puccini’s opera “La Bohème”. Broadway clip here! A luxuriant popup for foodies! After 200 years of wild franking, sticking stamps, and pushing around packages, the rooms of the Alte Post are transformed into the “Brieftaubenkobel” (carrier pigeon loft) by Barbara Eselböck und Alain Weissgerber, starting today – culinary enjoyments guaranteed, carrier pigeon loft-wise. But the historic ambience is deluxe: a separate entrance leads you into a world full of old Vienna flair, where you’re being served by white liveried employees with white gloves, making you feel like you’re in the Belle Époque. Wow! CitySpotterGirl likes to reminisce about her 10th birthday, when she came into possession of a brand-new polaroid camera. Remembers releasing the shutter, the camera’s humming, and the waiting until the snapshot slowly became visible. Luckily, the polaroid phenomenon is still more popular than ever during the digi- and insta era. Now the gallery WestLicht presents the incredible photo success story in the perfect exhibition light. It includes many ingenious artist shots from Ansel Adams to Andy Warhol. 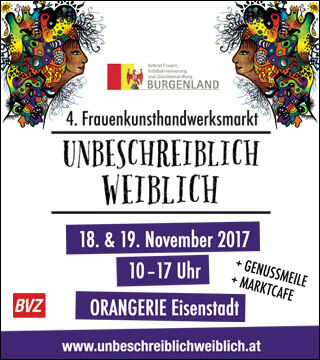 Today: vernissage with free entry! Habari celebrates its 20th anniversary! And for this occasion, the cherry blossom comes to Vienna for two days, fashion-wise, so to speak. Tina Miyake, half Japanese, half Düsseldorf native, shows her unique “knitwear meets kimono”-pieces, where she combines cuddly Merino silk knitwear with classic vintage kimono textiles from Japan. Super pretty! And true the motto: in for a penny, in for a pound, Austrian mini-labels Wubet and Alila join in. The first one scores with handmade wool capes and coats, the second one with Japanese Shibori pattern-silk robes. Domo arigato! Renting instead of buying! 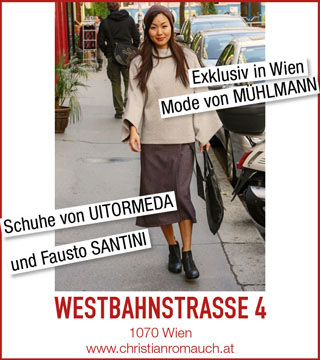 The first “fashion library” in Vienna, at which you don’t buy the hottest outfits of the season, but simply rent them for a month, is setting up shop at Afripoint! This is a) easy on your wallet, b) sustainable and c) super practical. After all, you don’t wear the eyecatcher-, glitter- and party pieces every day, anyway. Today, it’s all about “X-mas”. There’s shiny party- and sequin dresses, for instance by Nanette Lepore, but also chic MaMaMu-blouses and Tutu-Vienna-skirts. You’re in starting at 15 €, the final cleaning is free and there are even stylists there! Hey presto! 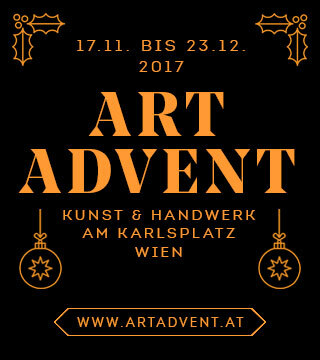 For a whole day, selected (inter) national artists open their Vienna ateliers and studios – inspiring insights into the funky, colourful artists’ world and brains are guaranteed! No fewer than 45 sculptors, video artists & co have settled down at the Kunstquartier in Meidling, including the two visual artists Bella Volen her with magical prints and Dominika Szczot with her beautiful ink drawings in XL-format. But individual venues are tempting too: like Judith Huemer’s atelier in the second district. Let’s get started with this monster art program! What a spectacle! For today’s European Theatre Night, seventy Viennese stages have been made particularly fit for the audience. Almost round the clock, you’re tempted by different plays, special acts, conversations with artists, and backstage guided tours. The casino at Schwarzenbergplatz is having a poetry party (where you can contribute! ), at the Hamakon, brut is up to his usual ingenious mischief with no less than two performances, and at the Cruiser MS Stadt Wien, they ask the question “Do Whales Dream of Tasty Sharks?” Many off-productions, super whacky program. Pay as you wish! Yes, time flies and 2017 will come to an end soon! So it’s time to look back on the year: What has it brought us, what have we learnt, what do we want to take with us into the next year, what do we want to leave behind? Today’s workshop gives women the opportunity to take part in a guided tour inside, considering the ups and downs of the past months. During a creative session, everyone can visualise their findings by creating pretty wisdom-collectors. Plus, there’ll be enough time for browsing magazines, having a lazy lunch and for chatting. How nice! 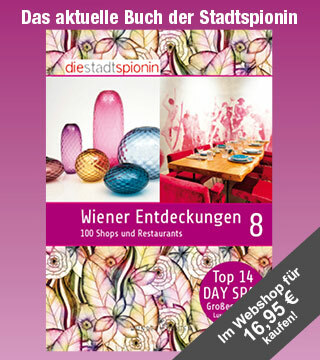 CitySpotterGirl has long cast her nets and caught Vienna’s best fresh fish addresses in the current fish report. And today’s cooking course by writer duo Dario & Manuela Santangelo, which is about southern Italy’s fish cuisine, goes great with that. At the centre: fresh fish from the Mediterranean sea, of course. The haul is cleaned together, every part from the gills to the fins is used and prepared in the typically Palermo and Naples manner. Just think of gilthead with white wine and oranges or dentex con patate. And there’s also a joined dinner! Now, it’s not as if a woman listens to classic operas and symphonies all day long. ;-) But when she does, she likes Ludwig van Beethoven’s moving oeuvre very, very much. It fits almost every mood! “Ode to Joy” makes you laugh, the Rasumovsky quartets make you cry, and the Symphony of Fate makes you dream. Today, the latter is being translated into the present time by five contemporary composers and dancers at the Off-Theater. With electro-sounds, choreography, and lots of audible, visible, and concrete-comprehensible fate-moments. Harmonious remix! The previous year’s play by Migrations-Kulturvereins MAA around cop-stories actress Claudia Kottal already rocked CitySpotterGirl’s socks off with all its women-power. Now the eastern combo-team that loves to crash patriarchal structures in their productions and only casts women for every role, does one better. “Zucker Büstenhalter (“sugar bra”) is the name of their newest coup which tells the story of the ruin of Polish siblings David and Maria Zucker’s lingerie business. They are struggling with cheap bras made in China as well as the post-communist eastern-tristesse. Smart humour in A-, B- and C-Cups! Whether for Samhain, during the mythical Twelve Nights or during the year - burning incense is still a popular ritual. But what history, what spirit and what myth is behind the millenarian culture of burning incense? After an introduction into the background, Waltraud Georgiades and Andreas Vierling organise a sensual imagination journey: with the scent of a special incense blend accompanied by drums, the participants can let themselves be carried to the sources of their own strength and discover their own profound story. Fascinating! The music of twin sisters Gianna and Laura Caronni is actually beyond words. It is simply only made for ears (and the heart). But we will try anyway: These two passionate musicians ride on a veritable goose bumps-mix of classic and folk, Debussy and tango, fragility and fierceness. Perhaps the charming originality of their current album “Navega Mundos” is also due to their Italian-Russian-Jewish-Spanish multiculti background. In any case, there’s only one concert in Vienna. And a woman’s gotta be there! Listen to a sample here! Apparently, a veritable horse-obsession has taken over the art world this year. First, Argentinian sculptress Claudia Fontes swept through Biennale with her spectacular XXL-horse colossus “The Horse Problem”. And now, star photographer Manfred Baumann has exchanged his celeb & model terrain for that of horses. For weeks, he chased after wild mustangs in Nevada and has captured not only horses, but the American myth of freedom and independence as well in is breathtaking new photo-series. Today’s the vernissage. Horsepower-ful! Now it gets down to (preserving) business! Passionate cook Alexandra Jarolim fulfilled her dream of having her own store. As of now, her delicious spread-creations (for example beef & port rillettes or sage & truffle pesto) are not only available in jars and to go but the female jack-of-all-trades is now also cooking, backing and serving them to hungry gourmets on two days a week, live in her new cook-shop-store in Ottakring! Thursday is bread-baking day, where she serves hearty soups like Oriental beef soup. Today is the opening, with free tastings, obviously! Hey, it rhymes, that’s a good sign! Today’s exclusive guided tour “Klimt mit Zimt” (“Klimt with cinnamon”) offers a twofold pleasure: on the one hand, a culinary one, and on the other, a cultural one. First, the rooms of the Klimt Villa and studio are being inspected, afterwards you can enjoy exquisite tee and cake in the elegant drawing room. Particularly cool: they even serve Art Nouveau-master Klimt’s favourite Gugelhupf made after the original recipe of his housekeeper. The noble chit-chat round will of course include exciting anecdotes and stories. Klimt and cake, sounds about right! Once you have made your way through the labyrinth that is the Ministry of Health and have found the canteen (to the left! ), it’s all super fancy! Power-restaurateur Hannah Neunteufel is in charge here and serves daily changing lunch menus in a surprisingly stylish atmosphere. Two fresh veggie-dishes and two meat-dishes, respectively, plus international dishes are to choose from. Just like tarte flambée, bowls and desserts. Grab a tray, get in line and treat yourself to a delicious balsamic chicken with polenta, for example. It’s open for everyone, by the way. Definitely the hottest canteen in Vienna right now!